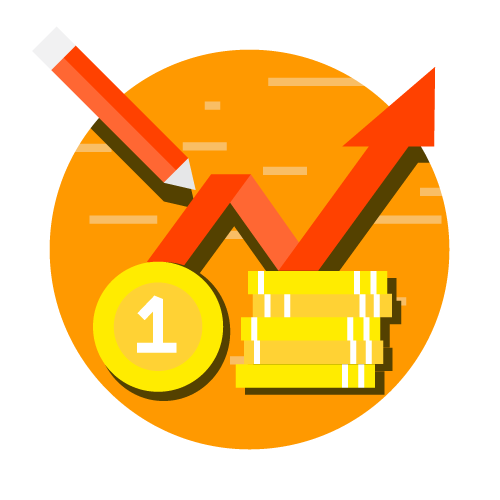 tools we need to analyze fluctuations in economic activity. In particular, we can use what we have learned about aggregate demand and aggregate supply to examine the two basic causes of short-run fluctuations. 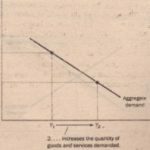 shifts in aggregate demand and shifts in aggregate supply, To keep things simple, we assume the economy begins in long-run equilibrium, as shown in Figure 7 Output and the price level are determined in the long run by the intersection of the aggregate-demand. At this point, output is at its natural rate. 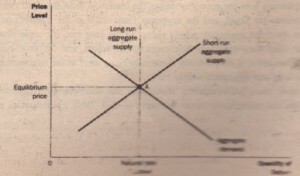 Because the economy is always in a short-run equilibrium, the short-run aggregate-supply curve passes through this point as well, indicating that the expected price level has adjusted to this long run equilibrium. 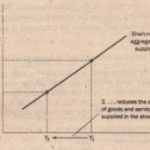 That is, when an economy is in its long-run equilibrium, the expected price level must equal the actual price level so that the intersection of aggregate demand with short-run aggregate supply is the same as the intersection of aggregate demand with long-run aggregate supply.